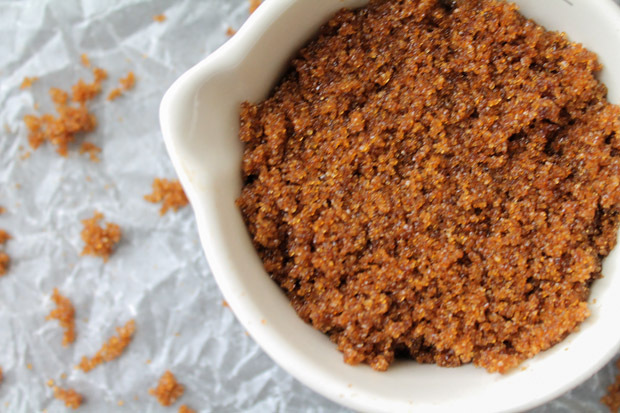 We’re sure you’ve heard it before: “Use brown sugar, para mas healthy!” We hate to break it to you but brown sugar isn’t exactly what it seems. Yep. That’s what brown sugar is. It is basically white sugar that has added molasses added back in during the process. This is done to reintroduce the some trace minerals back into the processed white sugar. The moisture of brown sugar also changes as molasses is introduced back in making it ideal for some cooking and baking recipes over white sugar. However, there are other alternatives that can be considered much healthier than brown sugar. As mentioned, yes because it does contain trace minerals. However, the question here is how the sugar is processed prior to adding the molasses. For sugar to be white and fine, it goes through a number of processes which include bleaching. Some of the chemicals used for bleaching sugar include styrene, divinylacetylene benzol, benzol peroxide, polyvinyl alcohol, bentonite, concentrated sulfuric acid, methacrylic acid, sodium hydroxide, methyl chloride, diethylenetriamine (DETA) etc. These chemicals are mainly for industrial use. So, even if you add molasses back in, the traces of chemicals found in the processed, refined white sugar is still not good for you. Coco Sugar, Muscovado Sugar, Unfiltered Honey…these are just some of the sweeteners you can use. The key here is to choose the ones that have gone through less chemical refining, bleaching, and/or processing.